Pink Tartan - 20% All Outerwear! 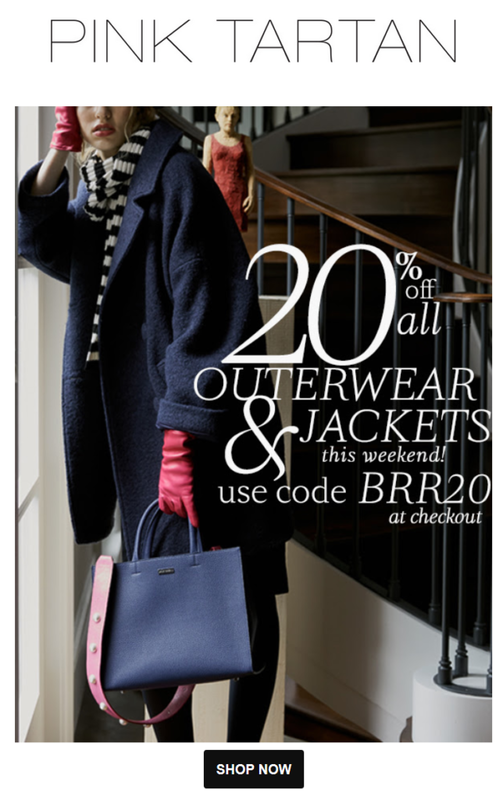 Enjoy 20% off all outerwear and jackets this weekend at Pink Tartan! Use code BRR20 at checkout.